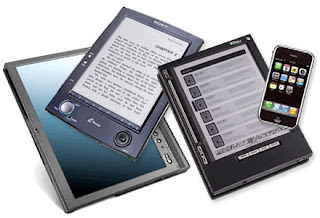 In the past few years, there has been a drastic increase in the popularity of e-books and portable technology. While I am a firm believer in the traditional method of reading, the alarming popularity of Internet tablets and smart phones may prove that the majority of society is shifting to a digital alternative for reading and social communication. With the term flashpackers referring to travelers who are tech savvy, is the age of the backpacker… gone? I know a lot of travel guides such as Lonely Planet have already began adapting to this e-book alternative by offering their highly resourceful guidebooks in a digital format and even as apps for smart phones. This can be great as one’s luggage may feel significantly lighter without cramming all those thick books in there, but similarly, I feel that carrying all that technology sort of defeats the purpose of traveling in the first place. I mean, there’s nothing wrong with bringing technology on a trip (I can’t see myself without my ipod), but wasn’t the initial passion to travel because of a desire to see the beauty of nature, rather than to constantly update yourself with news from back home? I’ve stayed at hostels where I’ve met other “travellers” who prefer to spend their nights on their bunk bed with their laptop, avoiding conversations with everyone in sight. To this I wonder what the point of traveling to a distant land is, if they would rather spend their weekend Skyping with their friends back home, or playing video games. One of my loves for traveling is as an escape from all the technology in our everyday lives. Obviously I check my e-mail, chat with my friends, write my blog, and take photos while I’m on the road, but anything over an hour or so in front of a computer makes me feel like I’m wasting valuable time. Of course to fully “live life” doesn’t require taking up extreme sports, forgetting to wear underwear in public or shaving your head, but sometimes, there’s nothing better than getting in touch with nature’s wonders (and best of all, it’s free). As a summer challenge, let’s all try to limit our technology usage and see what adventures a few days without a computer, tablet or cell phone will bring us (which hopefully also includes a nice tan!). Yeah interesting. Someone I know spent an entire holiday on a Blackberry, barely talking with us, not really appreciating what was going on. I felt extremely awkward. Sometimes we can leave facebook alone for a while! Hi, first time to your blog… It is very well written and enjoyed quite some posts!! That's AMAZING! I've thought this for a long time, but didn't think anyone younger than me would actually agree! I'm not anti-technology, but I AM anti-letting-technology-rule-your-life-to-the-point-nothing-else-matters!! PS the challenge will be EASY for me! PPS So glad you enjoyed my Dune photos! i'm with you on this one. great post. what's with those people in the hostels? i was sad for a guy in Berlin who did this. too much fun to be had. when i travel i take a lonely planet/time ut paperback just in case i need a rec on the go. i also deliberately pack my early model Nokia and get a sim card so i can communicate with my travel partner or whoever i happen meet along the way. no gps or any of that – if i get lost, it's all part of the ride.